The 2014 World Sustainable Energy Days (WSED) Conference is being held from the 26th – 28th February in Wels, Austria. This is one of the largest annual conferences in the field in Europe, offering a unique combination of events dedicated to raising awareness of renewable energy and energy efficiency around the globe. For 20 years, experts and decision makers from all over the world have flocked to Upper Austria to attend and, in 2013, the conference attracted more than 800 participants from 61 countries. 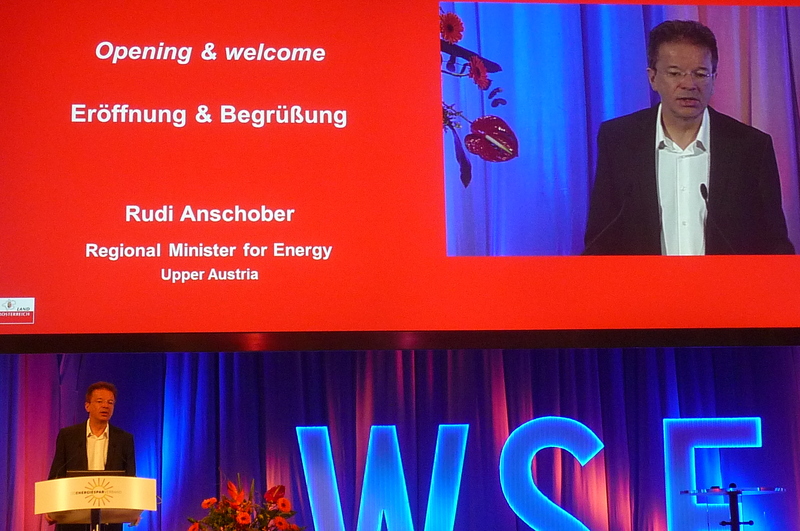 Wels is the ideal location for the WSED conference as, by 2030, all electricity and space heating in the Upper Austria region will come from renewable energy sources. Currently, the region plays a leading role in both using and promoting energy efficiency and renewable energy sources. Rudi Anshober, state Energy Minister and leader of the Austrian Greens party, opens the European Pellet Conference, part of the 2013 WSED Conference. A call for papers, presentations and participants has already been sent out for the 2014 conference, with a deadline for submissions of October 10th 2013. A complete program of the themes and events for next year’s conference is available here. The organisers are particularly keen to hear from those working in local government, as the conference offers a detailed insight into utilising a range of renewable energy technologies to reduce carbon emissions. The ‘Energiesparmesse’ trade show, drawing more than 100,000 visitors to one of Europe’s largest displays of renewable energy and energy efficiency. The conference provides simultaneous interpretation into German, English and Russian. Information on fees for the different events can be found here and online registration is available here. It is advised that you make hotel reservations as soon as possible. Further information on accommodation is available on the conference website. For further information please contact the conference office on +43 732 7720 14386 or via email. A report from Andrew Lang on the 2013 WSED conference is available here.